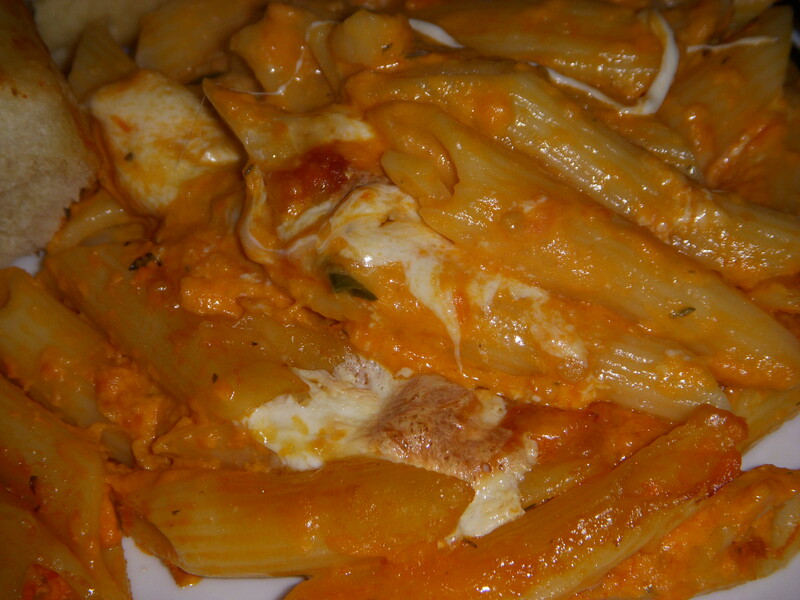 This recipe for Roasted Tomato Penne alla Vodka was featured on Rachel Ray’s Week in a Day program on the cooking channel. I made a few changes to the recipe but it came out great! Cut the tomatoes in half or in quarters if they are very big (my Arkansas tomatoes were cut into quarters.) Place on a wire baking rack on a baking sheet. 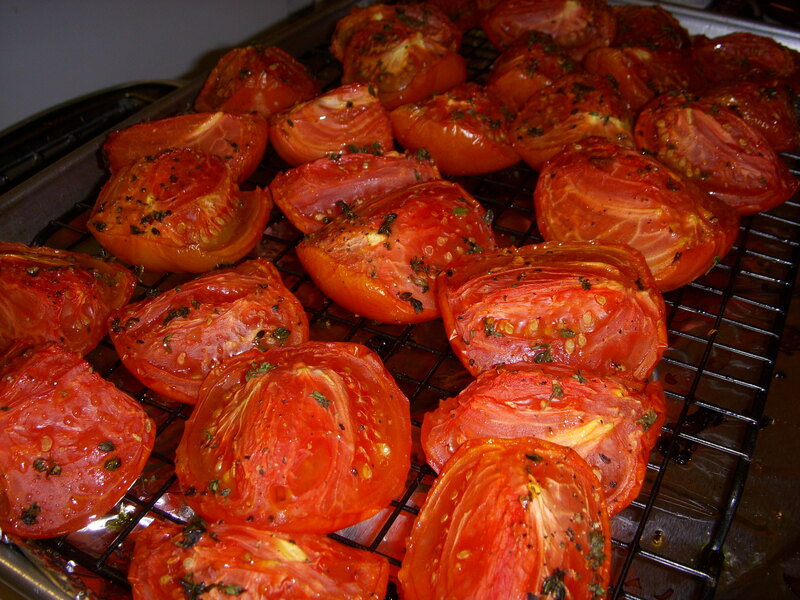 Drizzle with olive oil and sprinkle with the thyme, salt and pepper to taste. I used fresh thyme as indicated in the recipe but I wonder if using dried thyme would have been a little easier (and cheaper!) Stripping the thyme from the stems was time consuming and a little frustrating because the leaves kept sticking to my wet fingers. Next time I make the recipe I might try dried thyme and update this post with the results. Roast in a 325*F oven about 1 hour or until the tomatoes are slumped. Heat the oil over medium heat. 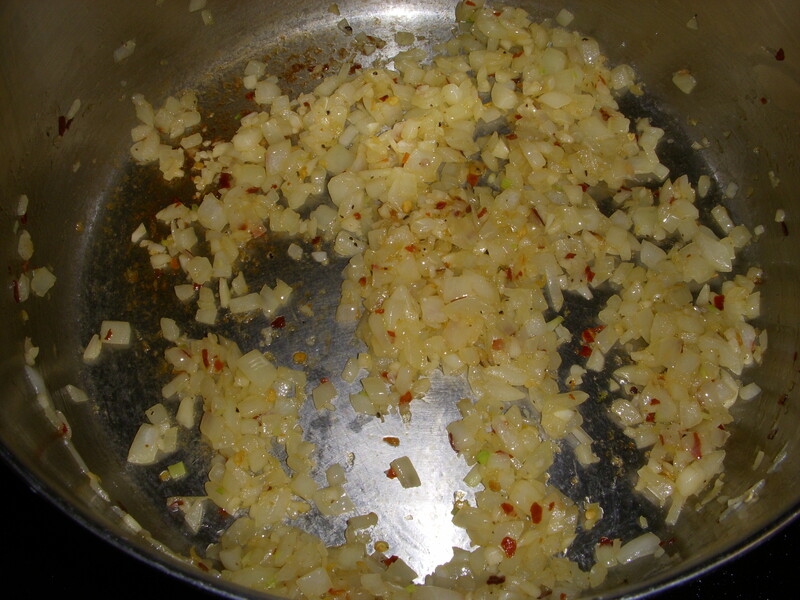 Cook onions and garlic in the oil until soft but not caramelized, 12-15 minutes. Season the onion and garlic with salt, pepper and red pepper flakes. Add the vodka and reduce by half. Stir in the tomatoes and chicken stock; cook for 5-10 minutes until heated through. 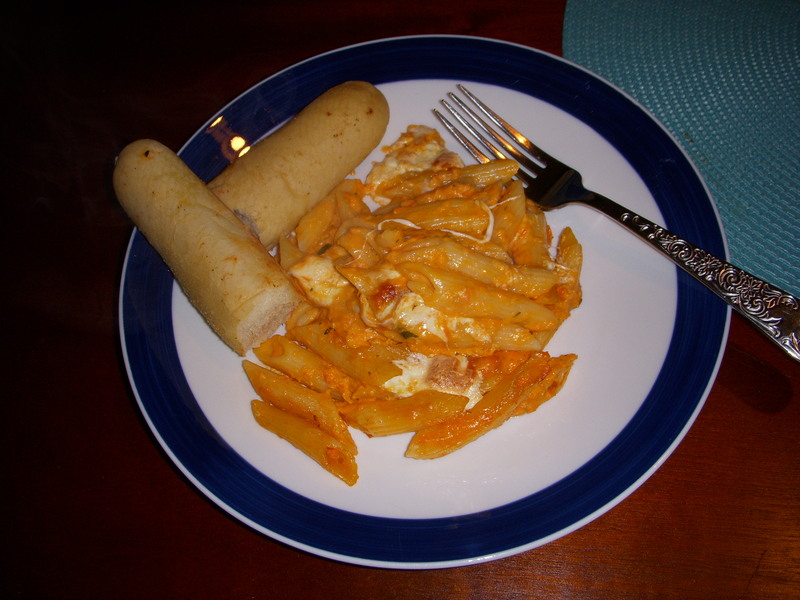 Mix in the Marscarpone cheese, move the mixture into a blender and blend until smooth. (I used a blender but Rachel suggests using a immersion blender or food processor. This was definitely the messiest step and I bet using an immersion blender would cut down on the mess a bit.) Pour the sauce back into the pot and add the basil. I cooked the pasta ahead of time because I was planning on using the same pot to make the sauce. Basically, follow the directions for the pasta making sure to cook until just al dente. The pasta will continue to cook during the baking so if you over cook the pasta at the beginning it may end up mushy later. I rinsed the pasta after draining it so that the noodles would not stick together while it was sitting out. The results were delicious. I made this during Josh’s visit in July and packed him a couple of foil containers to take home. It is one of the few recipes I have made that did not microwave well. I mean, it was edible but the noodles were a little crunchy. This recipe might be better if you made single serving containers and baked them when you were ready to eat it. 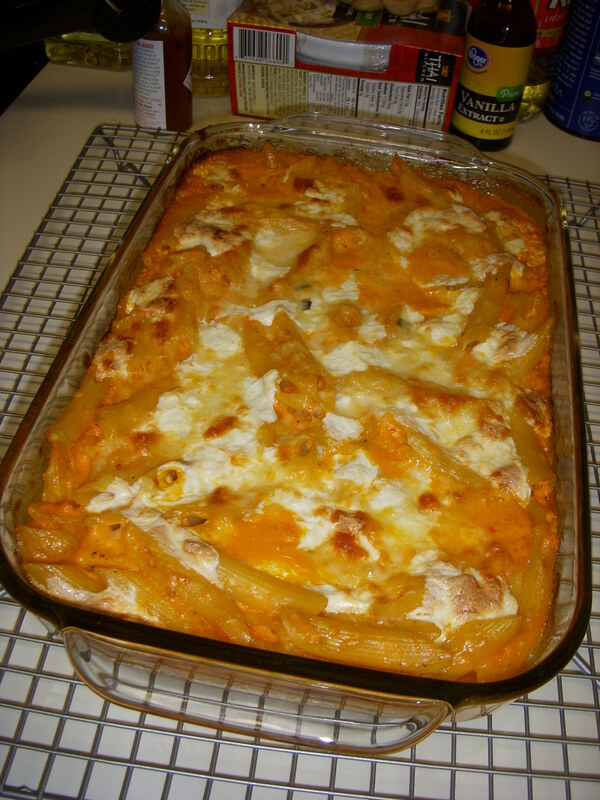 This recipe was adapted from the Roasted Tomato Penne alla Vodka by Rachel Ray.